A 'backend coding issue' is to blame for the long delay in processing election results in the Johnson County primaries, according to the equipment company. "There were several different things that all kind of came together on election night that really exposed this section of code, and exacerbated the problem," Weber said. Part of the issue was a failure to test the system with the actual number of ballot positions that a Johnson County voter would see on August's ballot. ES&S conducted many tests ahead of time, but Weber told KCUR that if they had increased the capacity in the tests, they would have likely run into and identified the coding issue ahead of the election. Moving forward, he said, the company has expanded the numbers of contests and candidates for testing of the systems. Weber emphasized that the flawed software in question is separate from the vote tallying software and the voting machines. The delay in August called into question the seeming last-minute purchase of ES&S equipment this year, two years after the Johnson County Election Commission approved $13 million to replace 15-year-old voting machines. The commission didn't select ES&S until earlier this year, and the selection wasn't certified until July. 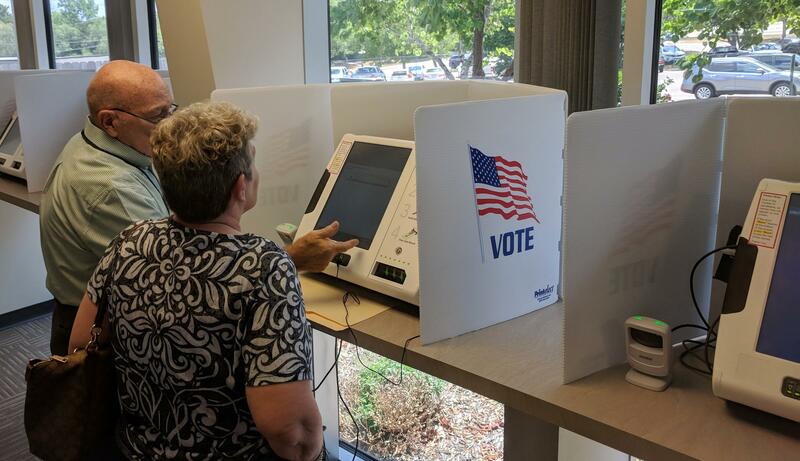 "We were coming under the wire on getting the version of the software certified and ready to go for this election, but the voting machine itself, and waiting 'til late in the game like it may appear that we did, had no bearing on that," commissioner Ronnie Metsker told KCUR. After conducting an investigation, ES&S has rewritten the software code, which the company said it will submit for federal certification later this week. Kathy Rogers, senior vice president of government relations, said it usually takes about a month for approval. At that rate, Johnson County may not see the updates installed until early to mid-October. But Rogers told KCUR it will be enough time ahead of the general election Nov. 7. "Plenty of time," she said. "We'll be doing testing here, Johnson County will be testing concurrently, we'll continue testing, and also, testing will be ongoing at the lab." The Johnson County Election Office also plans to install an additional thousand voting machines and hire 1,000 more workers to ease issues voters reportedly experienced at the polls in August.